Bud Mars was the first man to fly an airplane in Hawaii on December 31, 1910. Piloting a Curtiss B-18 biplane, he flew to 500-feet over Moanalua Polo Field, Oahu. 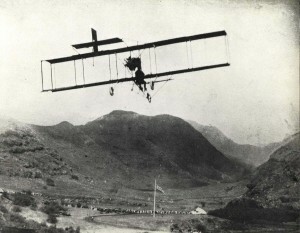 He repeated the flight the next day to the thrill of thousands of spectators. Army Lt. Harold Geiger arrived in Hawaii on July 11, 1913 as part of the first Army aviation unit in Hawaii. Civilian Tom Gunn took up Hawaii’s first paying passengers on July 13, 1913. 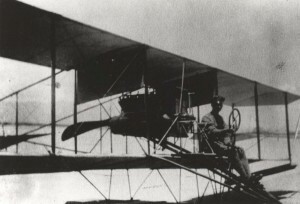 Other early aviators were Army Captains John Brooks and John Curry, Major Harold Clark who made the first interisland flight, and Mason Didier. 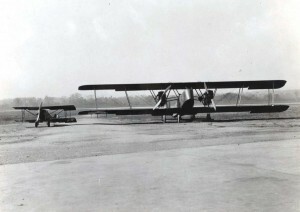 The Combined Services Flying Field at Ford Island was designated Luke Field in 1919 and was home to the 4th and 6th Aero Squadrons. 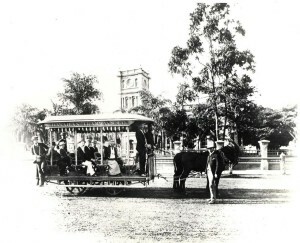 Residents in the Territory of Hawaii had several transportation options in the 1910-1919 era including horse-drawn buggies, a tramway and railroads. 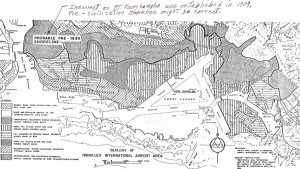 These early maps show the area of Honolulu between Pearl Harbor and Honolulu Harbor, which would later become the location of John Rodgers and Hickam Fields. 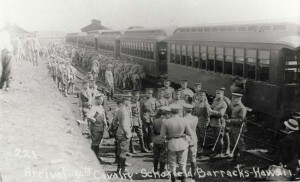 Arrival of the 4th Cavalry at Schofield Barracks, January 14, 1913. 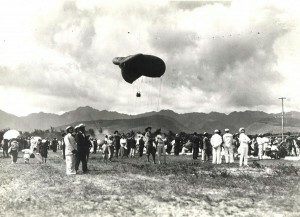 These photos cover a variety of topics including views of Honolulu Harbor, Downtown Honolulu, early lei sellers, Army balloons and a monoplane in Kapiolani Park.